I absolutely love getting the chance to try out indie brands, but I often find that there's so much to wade through that it can be difficult to know what to order. This is actually why I love getting the opportunity to try out and review products from indie brands. 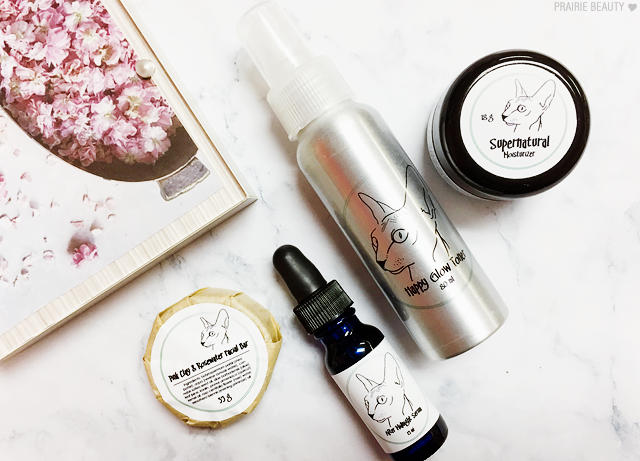 Recently, I had the opportunity to try out some skin care products from Naked Kitty Naturals, a brand out of Saskatchewan - Prairie's represent! - that's "committed to creating safe personal and skincare products using non-toxic, natural, and organic-where-possible ingredients" and I'm really excited to share them with you guys today! 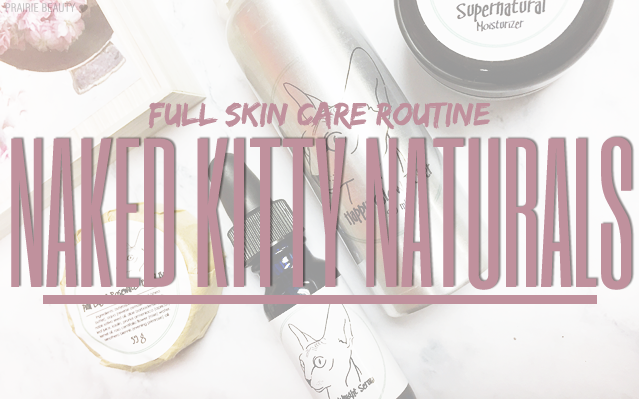 When I was thinking about how I wanted to review the Naked Kitty Naturals products, I decided that the best way to do it would be be to test out a full skin care routine and see how it worked out and was lucky enough to have four products sent to me that can be used as a full skin care routine. I used these consistently every night, first on their own and then mixed with some other actives that were already in my routine, and I'm definitely ready to review them for you guys! This soap is gentle on even the most sensitive skin. A shea butter and pink clay base are gentle while cleansing and detoxifying skin, removing dead skin cells, and creating an overall refreshed appearance. Admittedly, I was a little bit worried about using a facial bar because it makes my brain think soap, which makes my brain want to run away for fear of making my skin feel like it's going to fall off, but I needn't have worried. This facial bar feels so incredibly gentle and leaves my skin feeling clean, but also really soft and not stripped at all. I tried using this directly on the skin and also emulsifying some product in my hands and then applying that to the face and I found that both ways worked quite well. I think this is a really great product for my skin type, because I am normal leaning dry in the winter and I need a cleanser that isn't going to be too harsh on my skin, but for oilier or acne prone skin types Naked Kitty also has an African Black Soap that sounds like it would really get in there. Another thing that I accidentally found out this facial bar is great for is cleaning my beauty blender. Weird to say that I "accidentally figured it out," I know, but it was the only thing in my bathroom one morning so I reached for it and I've actually been using it to clean my beauty blender every morning since I figured that out. I'm actually planning on testing it as a brush cleanser next, because if it works as well with brushes as with the beauty blender it might end up replacing what I use currently. The Happy Glow Toner contains witch hazel, seaweed extract, tea tree and lavender essential oils. All of these ingredients are great for soothing skin and keeping acne in check. I'm actually a big fan of natural mist toners, particularly in the morning where I don't always want to use an acid step, and this one is really great. 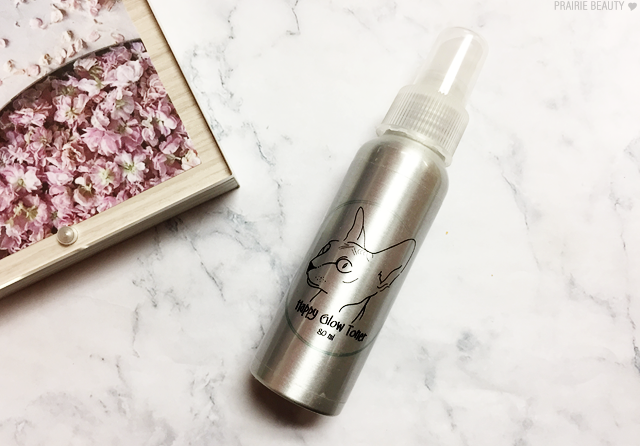 It's a beautiful, fine mist that lightly coats the skin and feels really lovely. It does have a very herbal scent to it, on account of the essential oils, which is actually something that I really enjoy in these types of mists. It's not for everyone though, so if you're really sensitive to essential oils, I would take that into account. I really like witch hazel in a toner because it's so soothing for the skin and I think the addition of the tea tree is great for those of us who struggle with occasional (or not so occasional) breakouts. I'm clearly really bad at reviewing toner, I admit, but this one is quite lovely and I think a lot of people who are looking for a soothing toner that doesn't contain alcohol will really enjoy this. Great for dry/mature skin. 1-2 drops are all you need of this beautiful argan oil based serum. Frankinsense and helichrysum essential oils tell wrinkles, scars, and fine lines to beat it, while chamomile soothes dry skin. 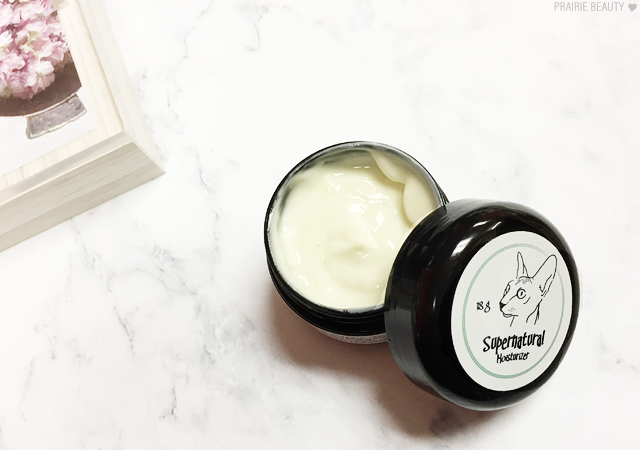 Use this between toning and moisturizing for a little skin boost. I feel like a facial oil is a must in a skin care routine and this would be a great option for someone who does have dry skin and needs a big boost of hydration. For me, personally, I find argan oil is a little bit too heavy for every day use for my skin, so this is an oil that I would only use about once a week or hang onto when my skin is feeling extra dry. Still, it's a really lovely oil and the first time I applied it, I was really impressed with how it felt on the skin. 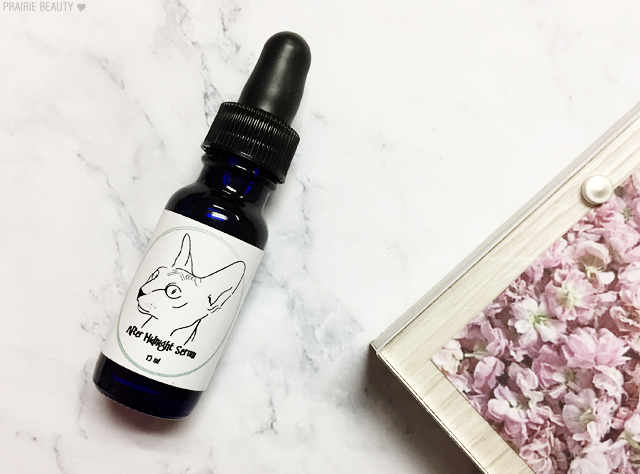 A little bit goes a long way with this oil, so I only use about two drops to cover my whole face, and when I used it I woke up with skin that felt really hydrated and looked plump and healthy. I think this could also be a great option for someone who is using the types of acne products that can be a little bit drying, because argan oil is non-comedogenic but deeply hydrating enough to really help to counter the effects of those types of products. This is by far my favorite product of the bunch and I've been using it day and night ever since I got it. 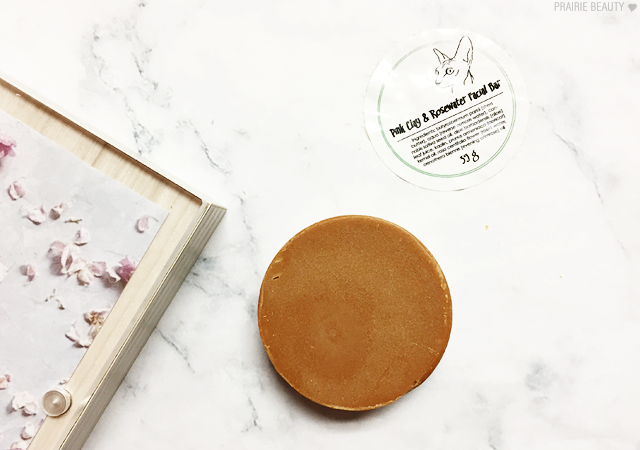 The texture is really light and absorbs quickly into the skin, which makes it perfect for daytime for me since I choose sleep over time to get ready in the morning, and once absorbed I can both see and feel a difference in my skin but it doesn't feel weighed down or greasy. It also sits really well under makeup, which is always a must for me with a daytime moisturizer. I have also used this as a night cream and I think it pairs really well with the After Midnight Serum to pack a lot of moisture and soothing overnight. Like the toner, this does have quite an herbal smell and I do find that it lingers on the skin, but I don't find it to be so strong that I can actually smell it throughout the day. Overall, I'm really impressed with these products and more than happy to recommend them to people who are looking for natural skin care options - particularly because I think it's great to support independent and the woman who started the company is absolutely lovely. For me, I would definitely give my biggest stamp to the Supernatural Moisturizer, because I just think it's a great formula and I love that it doesn't feel heavy on my skin or contain ingredients that I'm concerned are going to clog my pores. 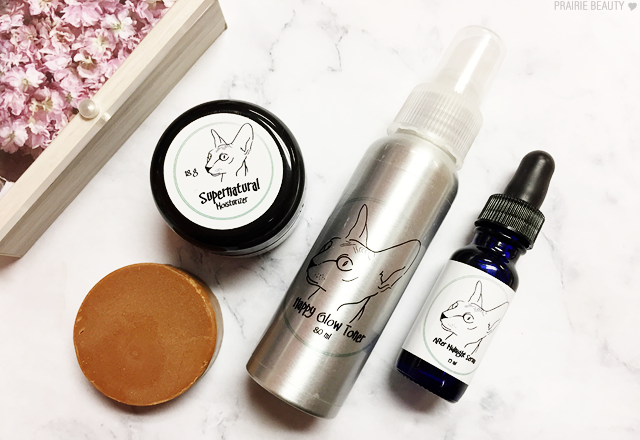 Naked Kitty Naturals products are available to buy online from their website, but you can also check their Where To Buy page for stockists in Regina, Edmonton, and Thunder Bay!